"We love the apartment design interior. But the heater in the room was not working properly. What I suggest is please give some option for cleaning Room / make up room during stay. "Wonderful stay! We enjoyed the location so much. 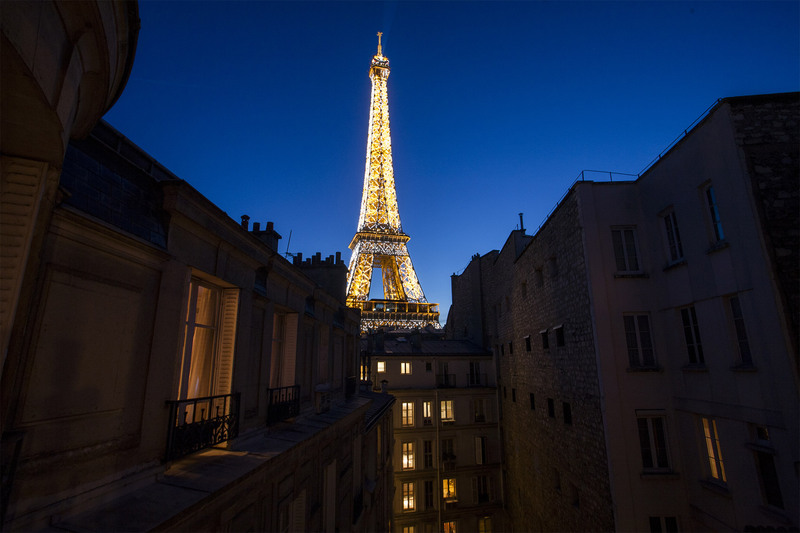 Ate dinner in the apartment most evenings looking out the window at the Eiffel Tower." "I have been showing pictures to all our friends and family. I'm highly recommending your services to all, it was a wonderful first experience for us with your company. It made my 88 year old..."
"Everything was Perfect. The apartment provided all we needed for our stay. The view is magnificent to say the least! The team were extremely friendly. 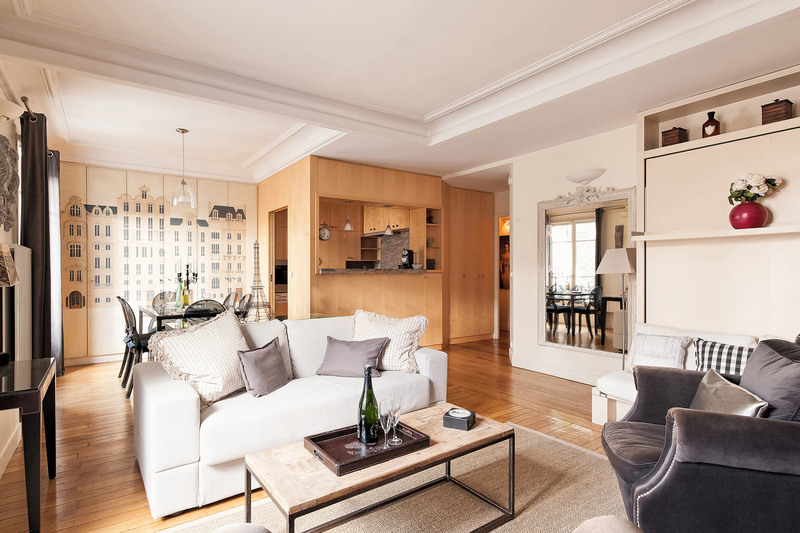 They explained everything we needed to know very..."
"The Romanee apartment is beautifully situated for those of us who love the 7th arrondissement and neighborhoods surrounding the Eiffel Tower. 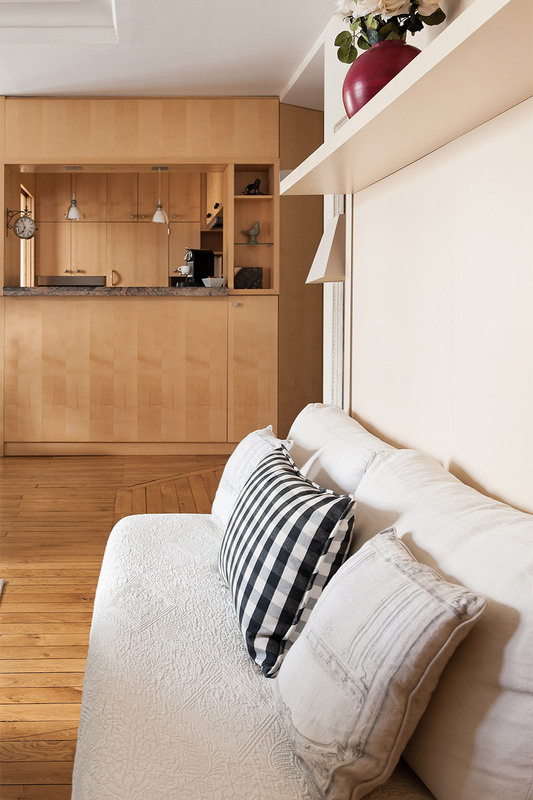 It has easy access to bus lines and the Seine and many..."
With unbeatable views of the Eiffel Tower from the living and dining room, our spacious Romanée apartment offers a warm and romantic stay in Paris. The 2 bedrooms, 2 bathrooms and convenient half bath are decorated in a distinctively Parisian style with a mix of contemporary and antiques that guests love. 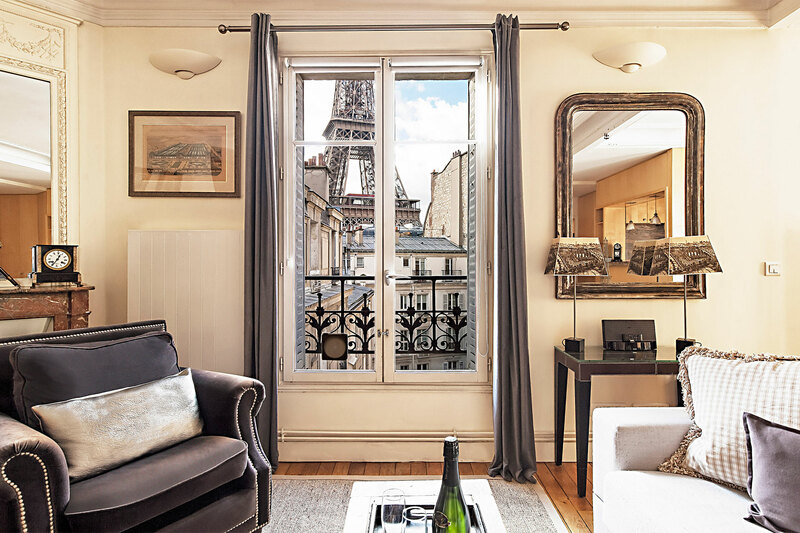 The Eiffel Tower view is one of the best features of this Paris Perfect apartment, so close you'll feel like you can reach out and touch it. 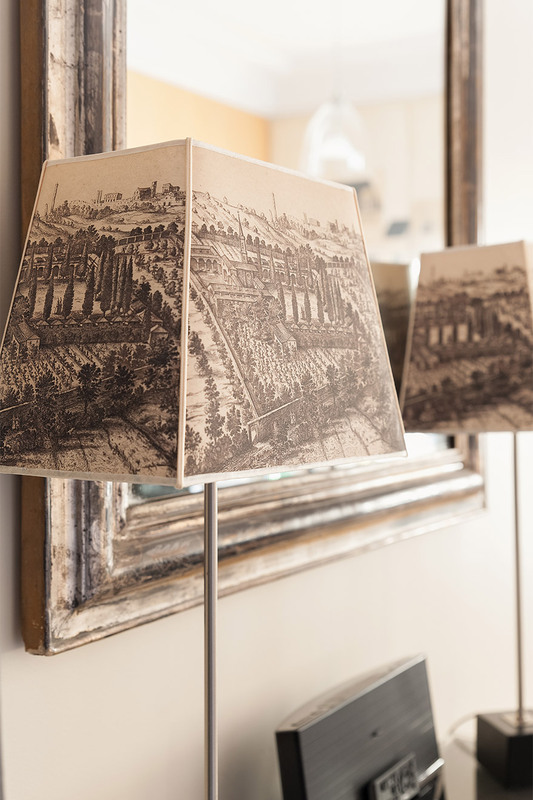 Enjoy relaxing evenings at home with a spectacular view of the Eiffel Tower the perfect backdrop. 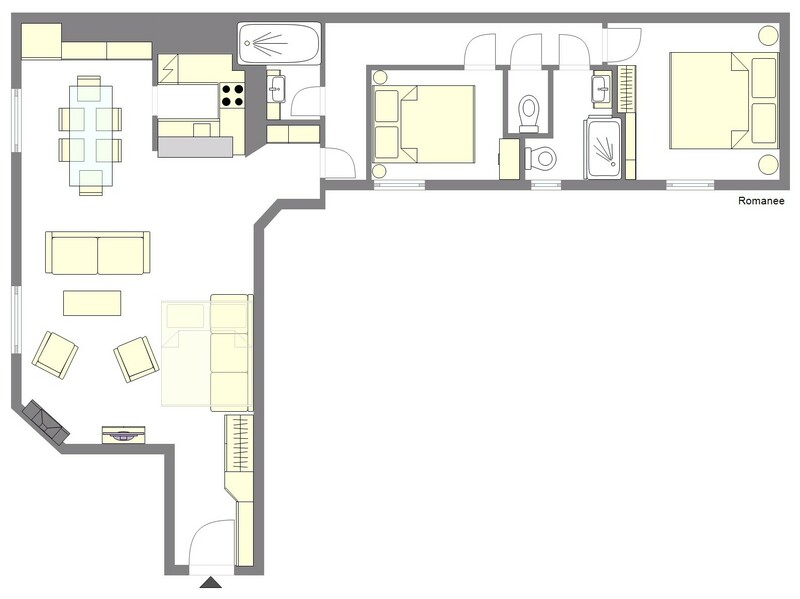 This apartment features two comfortable bedrooms and guests also enjoy the modern wall bed in the living room. It's a sofa during the day, but just pull down the shelf and voilà you have a high quality double bed at night! 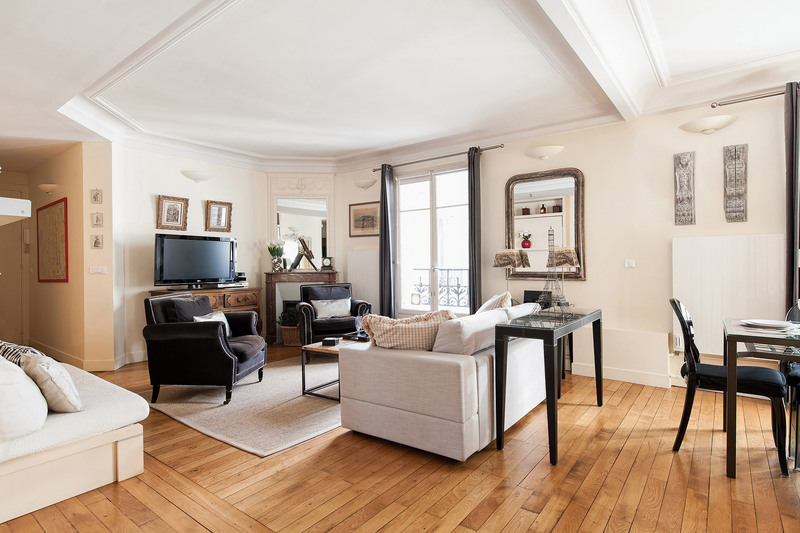 This beautiful Paris vacation rental is just steps from the Eiffel Tower, Champs de Mars gardens and near the Seine River. 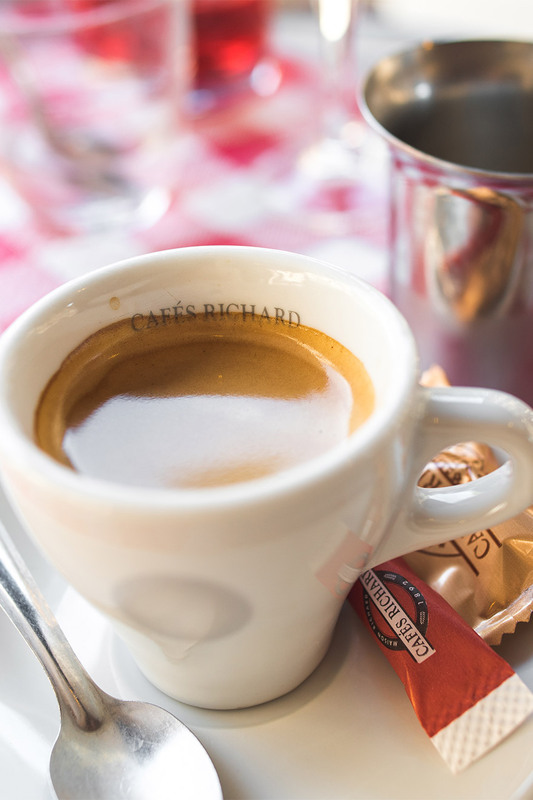 When you book a stay in our Romanée apartment, you'll be surrounded by wonderful cafés, shops, restaurants and open markets of the 7th arrondissement. 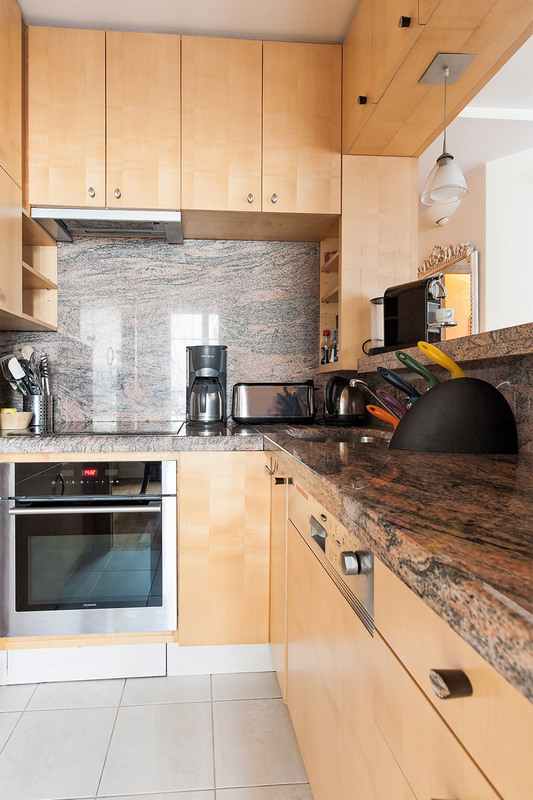 Fully-equipped kitchen with pots, pans, cookware, utensils, glassware, porcelain dishes, and so on. Three mobile air conditioning units. Like all mobile A/C in Europe, the hot air is vented thru the windows via a large tube. Read more about types of air conditioning by clicking here. Mobile A/C units can only be made available and used during the months of May, June, July, August and September. Free high speed wireless internet and cable television. DVD Player: dual-standard so you can bring your own movies or rent French ones nearby. 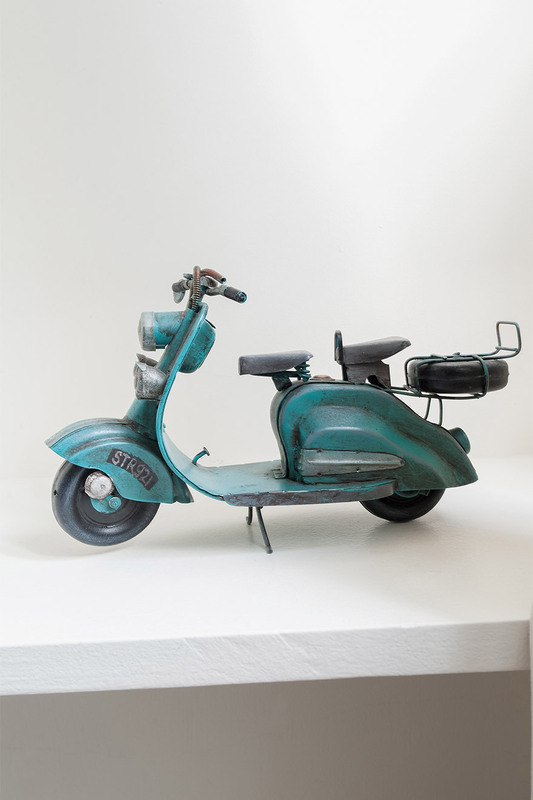 A once-off damage waiver fee of €49 or €59 (depending on the apartment) is payable with the final payment. * 5 night minimum to qualify for the discount (some apartments have a 7 night minimum, in which case this minimum applies); cannot be combined with any other offers. The sale cannot be back-dated to existing bookings. Bookings of 7 or more nights take priority in the high and peak season, but we allow 5 night bookings where possible. Depending on gaps and/or special approval, 3 or 4-night stays are possible in selected apartments and at slightly higher nightly rates. A single booking that overlaps the nights of both Dec 25 and Dec 31 should be a minimum length of 10 nights. For exceptions to this rule, please contact us for availability and an exact quotation. Arrivals on Dec 25 and Jan 1 are not generally possible, but exceptions can be made. Contact us if your arrival is on Christmas or New Years day and we'll try our best to accommodate your request. 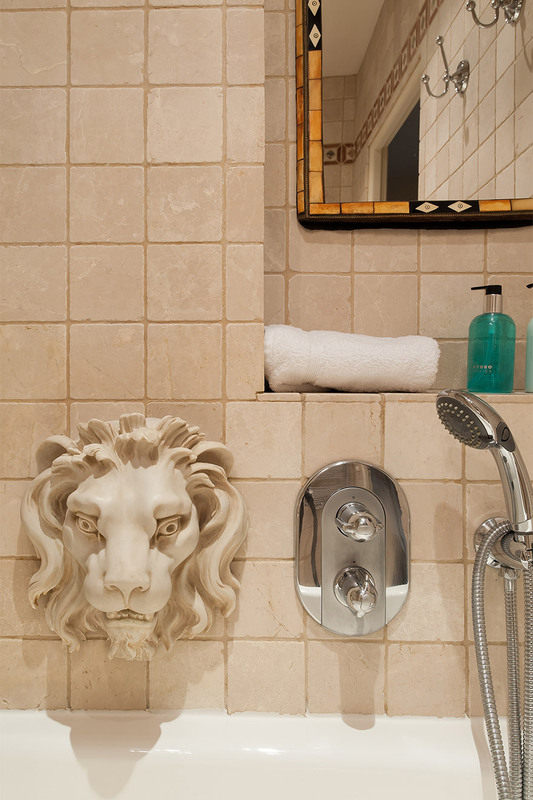 We hope you had a wonderful stay in our Romanée apartment. Please take a moment and click here to share a review of your experience with us. and are looking forward to renting at your place..."
"I have been showing pictures to all our friends and family. I'm highly recommending your services to all, it was a wonderful first experience for us with your company. It made my 88 year old mother's first trip to Paris very special having the beautiful view of the Eiffel Tower." "Everything was Perfect. The apartment provided all we needed for our stay. The view is magnificent to say the least! The team were extremely friendly. They explained everything we needed to know very clearly and informatively. 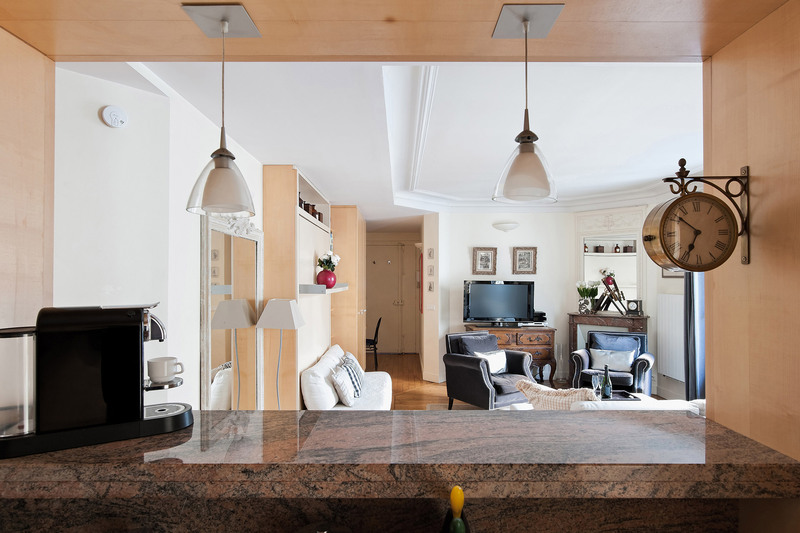 Paris Perfect provided very detailed and highlighted suggestions for our..."
"The Romanee apartment is beautifully situated for those of us who love the 7th arrondissement and neighborhoods surrounding the Eiffel Tower. 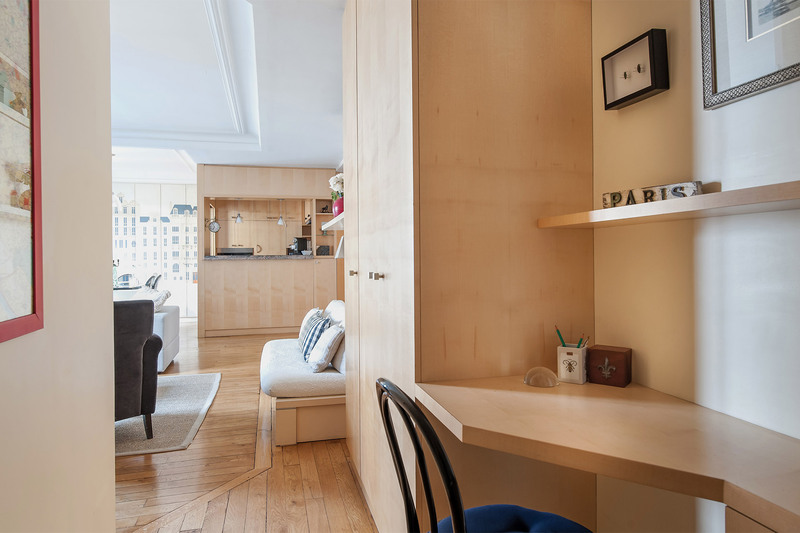 It has easy access to bus lines and the Seine and many restaurants and amenities in the immediate area to allow for you to live as a Parisian for the week. ..."
"I rented the Romanee for 2 weeks, with 2 sets of guests staying for one week each. This apartment was perfect, and exactly what I had in mind. The living area was spacious and was arranged with comfortable furniture and every amenity we could have asked for. 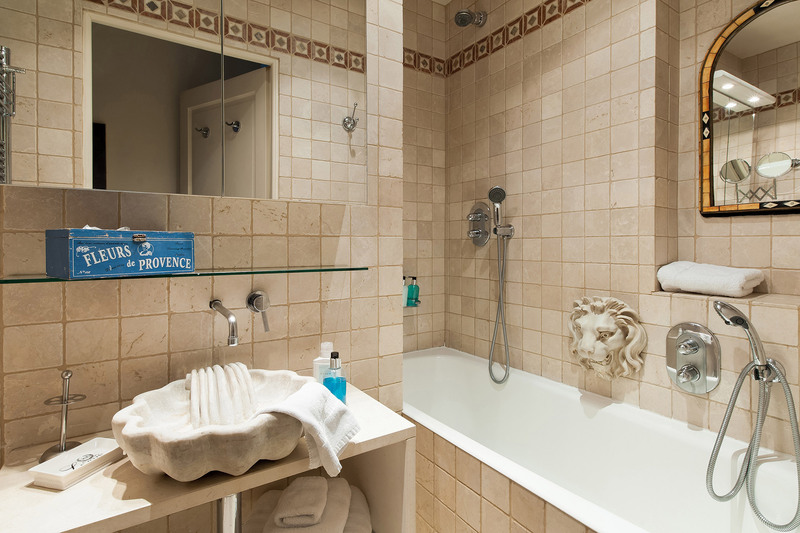 The beds were very comfortable and..."
"Our Paris Perfect experience exceeded our expectations! The view is as advertised -- it's stunning! The apartment was clean and very comfortable. While the 2nd bedroom would have been a little tight for two teen girls to share, the Murphy bed in the living room addressed that. 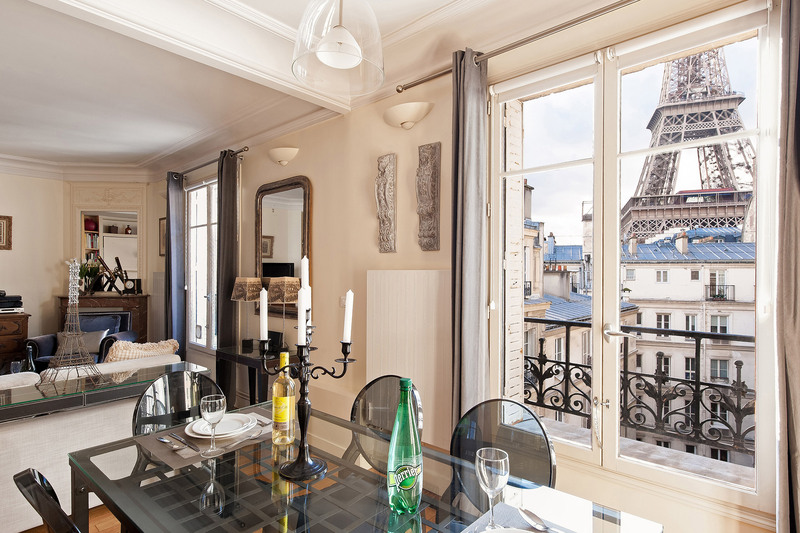 In fact, my..."
"The apartment exceeded expectations, especially the views of Eiffel Tower. The provided information was oth useful and helpful. The team were fantastic. always responded quickly and completely." "Beautiful apartment and wonderful stay! Paris Perfect staff made everything easy and were so helpful.They found us the perfect place to rent! Our flight was delayed and our luggage missing-they allowed us to have it delivered to the office so we didn't have to wait for the delivery. The apartment..."
"A sister trip to Paris at Christmastime! The apt. was just as advertised on the website (even better). 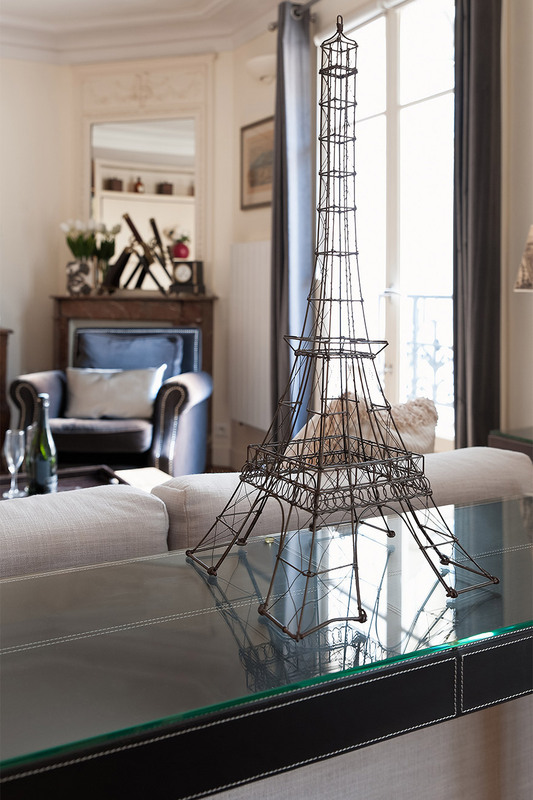 Beautifully furnished, well-equipped, spacious, and THE VIEW of La Tour Eiffel from our living room breathtaking. Do not hesitate to use this company. This in my second apt. rental and not the..."
"We had a marvelous stay. Loved the location of the apt. and your people planed our tours to perfection including Omaha Beach. Each of our guides did a wonderful job. Loved, Loved, Loved it!!!" 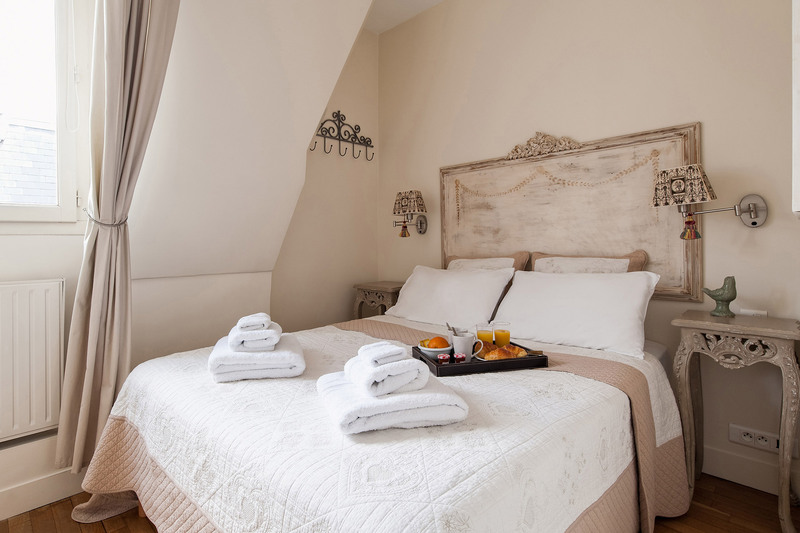 "A very enjoyable one week stay at the Romanee Apartment. The apartment is well situated with a clear view of the Eiffel Tower. It also is well equipped with a full kitchen and plenty of crockery etc. The heating worked well (Important for a December stay!) as well as the..."
"It was a wonderful stay at Romanee. Amazing location, beautifully appointed. We loved our view of the Eiffel tower, truly one of a kind. It was so nice to come back & relax after a full day of touring. We benefitted from booking the neighbourhood walk. Marion reviewed how to use the..."
"We spent a week at Romanee in July 2016. The location was extremely convenient and magical. We woke up every morning to a view of the Eiffel tower and went to sleep seeing its twinkling lights. My morning routine was to wake up and walk to the nearest "boulangerie" bakery, to get..."
"I highly recommend Paris Perfect. We stayed at the Romanee apartment and the view of the Eiffel Tower is magnificent. 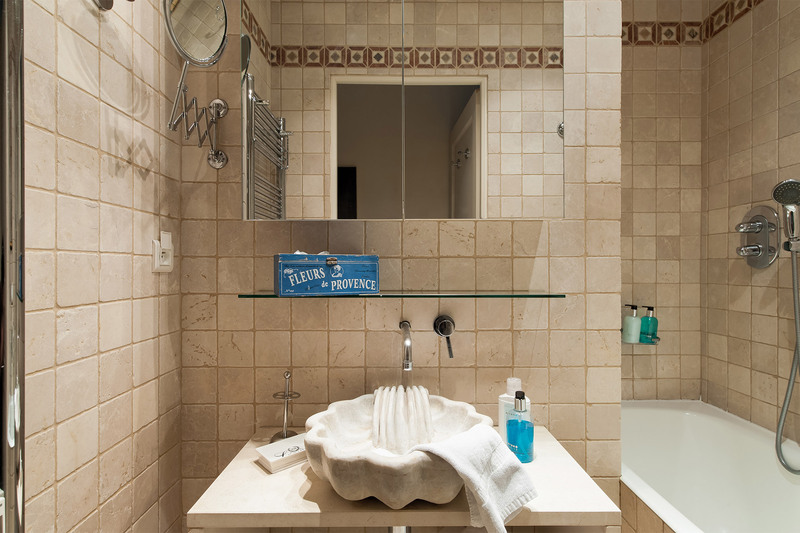 The Paris Perfect team were very accomodating and helpful in every aspect of our stay." 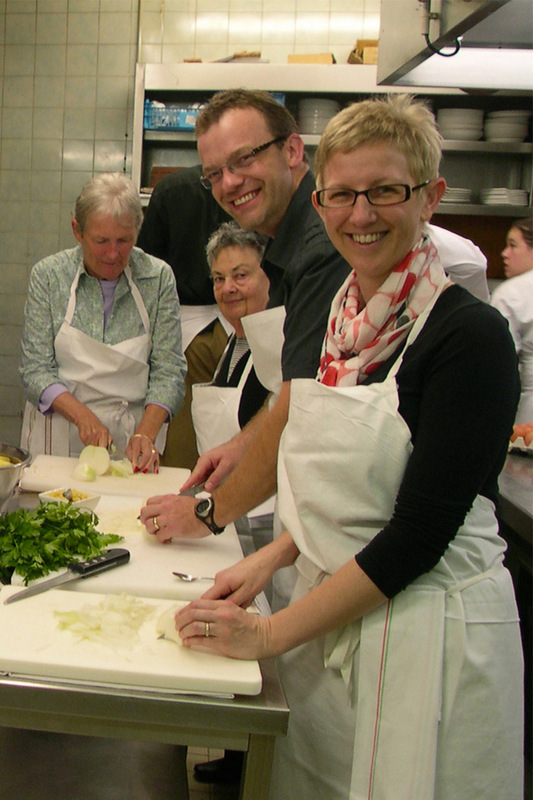 "We had a wonderful time, everything was perfect, however one comment, the water in the kitchen can quickly become very very scalding hot, and perhaps dangerous to children or elderly people. They should be made aware of this. 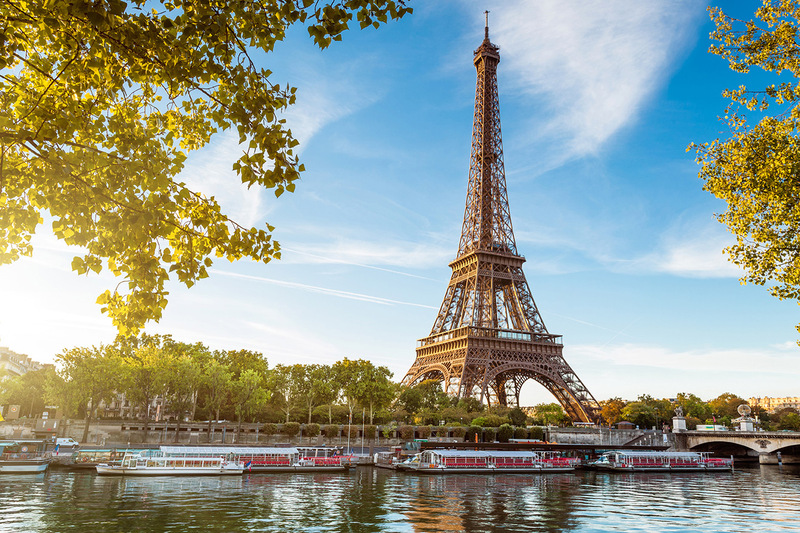 Other than that the welcome was very well done, your recommendations..."
"We can't think of a more perfect way to see Paris! Paris Perfect made our visit stress free and the Romanee apartment was better than the pictures. As a family of 5, with three kids under 13 we needed more space than a hotel would offer and we wanted to live like locals and experience the city. ..."
"The apartment is fantastic! Excellent! Your team and the tour operators you work with are all great! 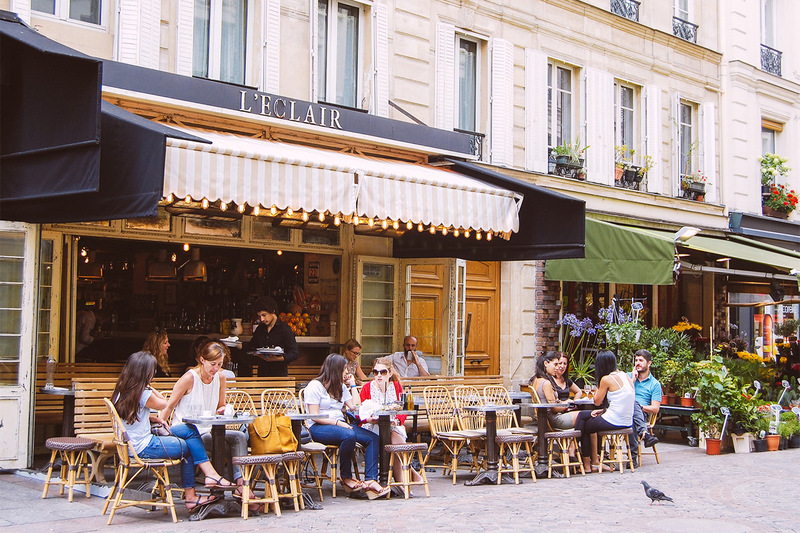 You made our first trip to Paris fun and stress free!" "Our stay was very enjoyable! The team were great as always! Thanks Verity, Lisa and Sam!" "Beautiful and Perfectly located. Love our view of the Eiffel Tower. Amenities etc, complete and very comfortable. Love this apartment." "We thoroughly enjoyed our week in this lovely apartment! 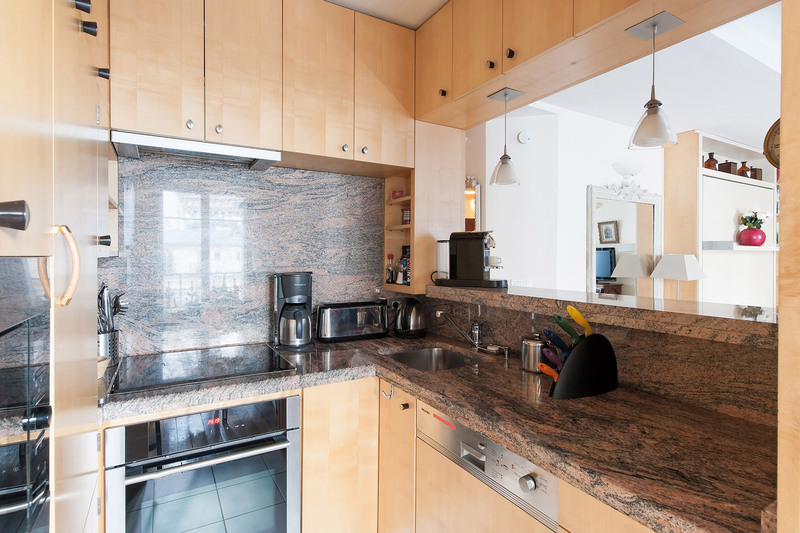 As a first time visitor to France and Paris I was a little nervous, but this apartment is located in a great neighborhood with wonderful restaurants and shopping nearby. 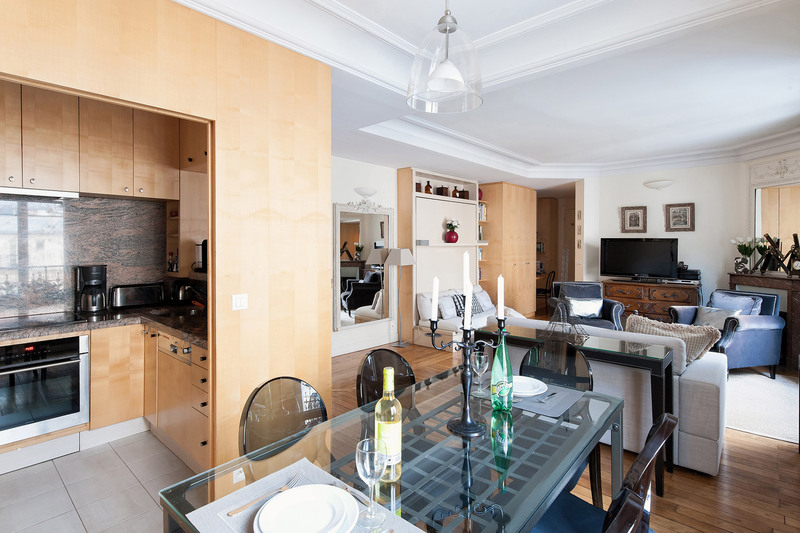 It is close to public transportation and within easy walking distance to..."
"I can't speak highly enough of our stay in Paris and our apartment "Romanee". It is situated in a lovely part of Paris and we were amazed at how quiet it was at night. The apartment had absolutely everything we needed, and very quickly felt like home away from home. The view of the Eiffel..."
"Great apartment, wonderful view, great vacations. The team were excellent and friendly." "A beautiful, well equipped apartment with the most fantastic location and view. It really made our stay in Paris that much more fabulous. 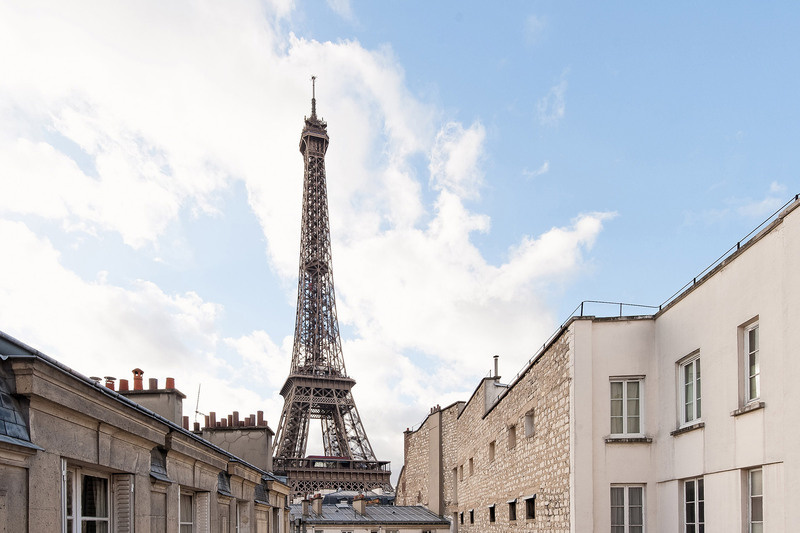 I would absolutely recommend this apartment and the Paris Perfect company to anyone and everyone (and have already done so - people can't believe the view from..."
"The stay was wonderful. All information was useful and the team were perfect!" 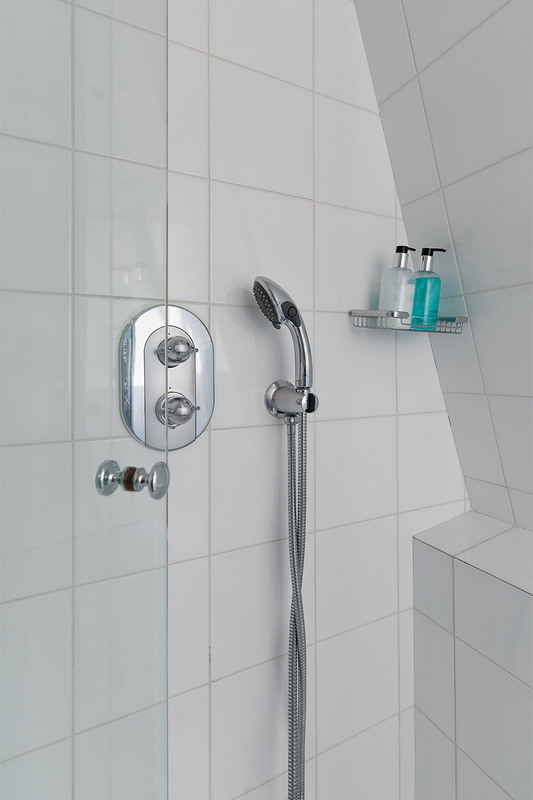 "The apartment was very well supplied. This is our 4th time with Paris Perfect - the name says it all! Great vacation staying in a Perfect apartment! The team were very helpful. Thank you and Merci!" "Location,location,location. We so enjoyed our very comfortable stay (2 adults, 3 teenagers) in the Romanee apartment. It was our first trip to Paris and the location couldn't be beat. We were central to everything we wanted to do. Wonderful restaurants nearby and close to the metro. The..."
"Wonderful, wonderful! Three sisters and myself stayed in Romanee for one week and thoroughly enjoyed the experience. The apartment was well-appointed, clean and beautiful. The Eiffel Tower view was icing on the cake. It was easy to get around the city and the neighborhood was lovely. Would..."
"We stayed at Romanee while visiting Paris with another couple in November, 2013. The apartment was perfectly located - easy walking distance to the Batobus, the corner market and delightful restaurants. We particularly enjoyed Le Fontaine de Mars and Au Petit Sud Ouest - both of which were..."
"We loved our stay at the Romanee apt. Firstly, Jean- Paul the taxi driver who met us at the station was wonderful, cheerful and helpful. Then to have Kevin waiting was a bonus. He showed us how everything operated in a most friendly and pleasing way. "We had a fantastic stay at Romanee. The location is perfect, and the views of the Eiffel Tower are amazing. Some of our best memories of our stay in Paris were having dinner at Romanee with a view of the Tower in the background. 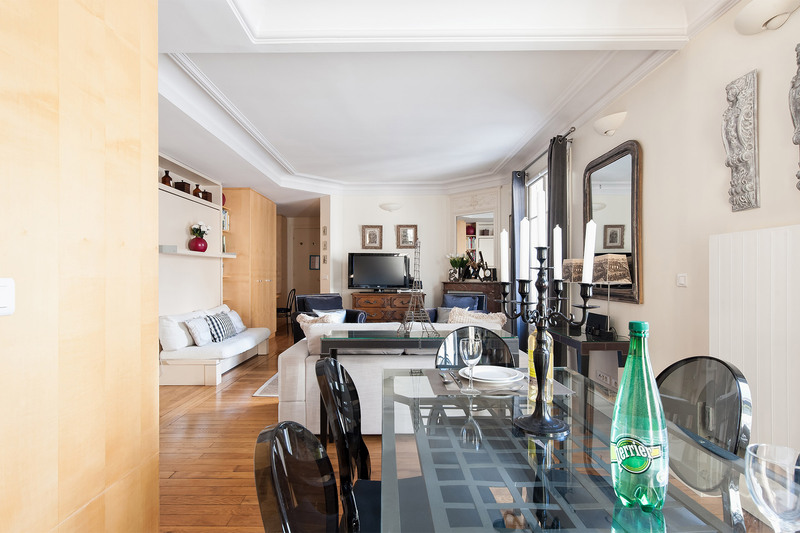 The apartment was clean and comfortable, and a great place to..."
"Romanée was conveniently located & comfortably appointed with a delightful view of the Tour Eiffel. The beds were comfortable, the showers quite decent (even by spoiled American standards), the kitchen nicely outfitted with all the necessary appliances & the neighborhood very..."
"Perfect pied-a-terre for our family of 5: my husband and I, 2 teenage girls and one 12 year old grandson who loved the fold out coach in the living room. We arrived late at night and were greeted by a stunning view of the Eiffel Tower. 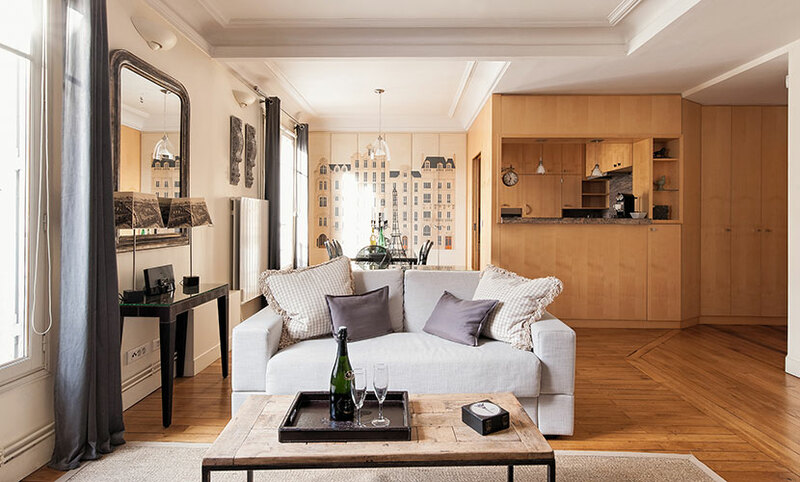 The apartment had the best combination of charm and modern..."
"Paris Perfect was the "perfect" choice for us - the Romanee apartment was fabulous for our family of five, including 9 & 11 year old girls and 6 year old boy. The kids took turns sleeping in the family room and the 2nd bedroom. We loved the light show of the eiffel tower every..."
"Apartment is lovely and a great location. Paris Perfect staff was most helpful. We will do this again on our next trip to Paris." 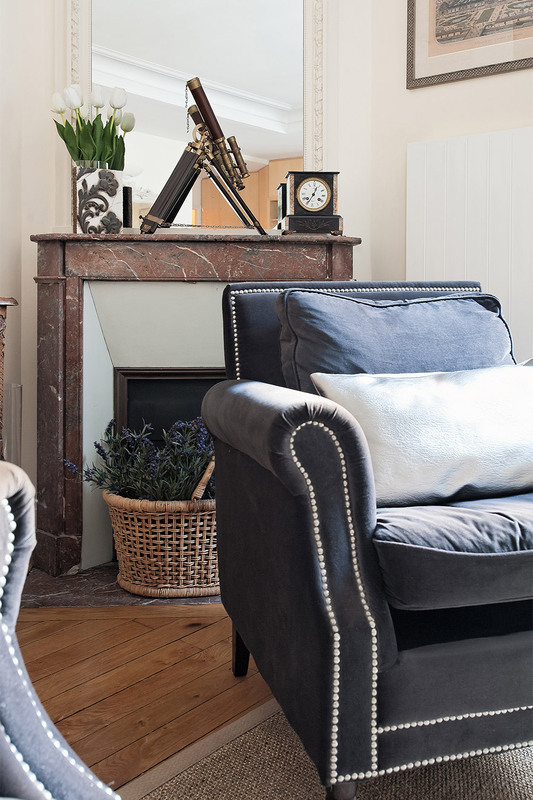 "We were so thrilled with our choice of apartment in Paris. The view of the Eiffel tower was magical - I had to pinch myself each morning over coffee to make myself believe I was really here, eating breakfast with this view! Our family of 6 was very comfortable - our 2 older boys shared..."
"We stayed in Romanee for 7 nights in December, 2011. It was the best decision we made regarding accommodation in Paris. Everything went smoothly from the original booking process, through to booking Victor Cabs for our airport pickup and arrival and check in to the apartment. Our greeter, Kevin..."
"What a wonderful, wonderful time here in Paris - mostly because our daughter and son-in-law were with us! They navigated us all around Paris. We are particularly fond of gardens and we saw many. Loved our stay. The view of the light show was mind blowing. Enjoyed our evening sessions of..."
"We were delighted with our stay at Romanee in August for our family vacation. The view of the Eiffel Tower from our apartment was MAGICAL! The location of the apartment is perfect. The neighbourhood was a delight. I so enjoyed doing my daily grocery shopping at all of the stores. 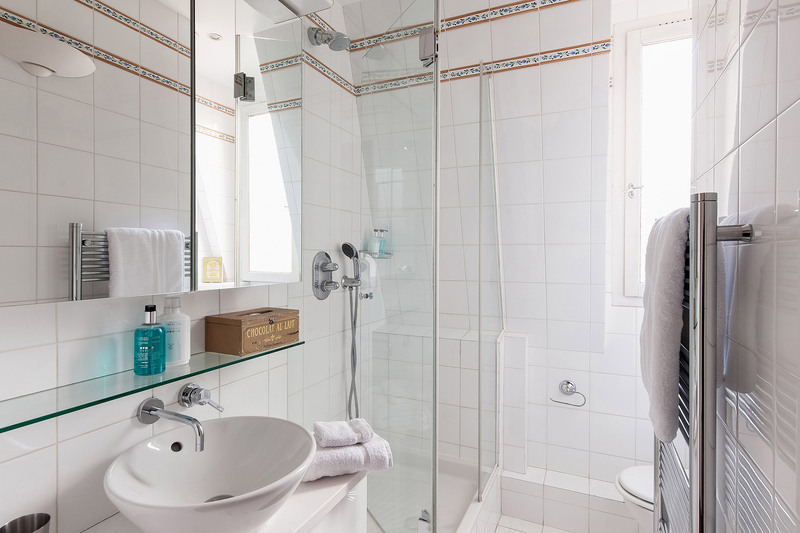 There is a..."
"My wife and I recently spent a week in Paris with three other couples... one couple joined us on Romanee and two couples stayed one floor below in Rully. Was that ever a fun week! The Eiffel Tower view from Romanee is jaw-dropping... we must have watched that light show with champagne..."
"The Romanee was better than expected, and the location was excellent. The apartment felt more like a home away from home, instead of a dreary hotel room. Though we have travelled to Paris many times before, this time we felt like Parisians. 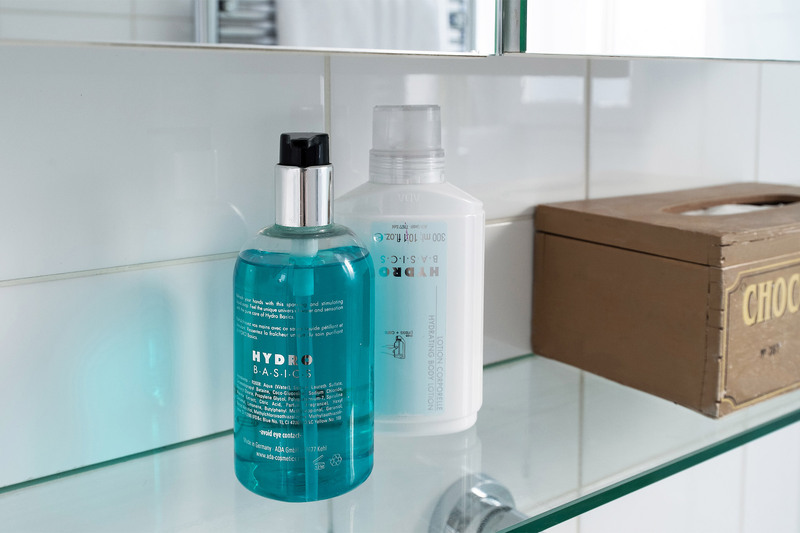 I would highly recommend Paris Perfect." 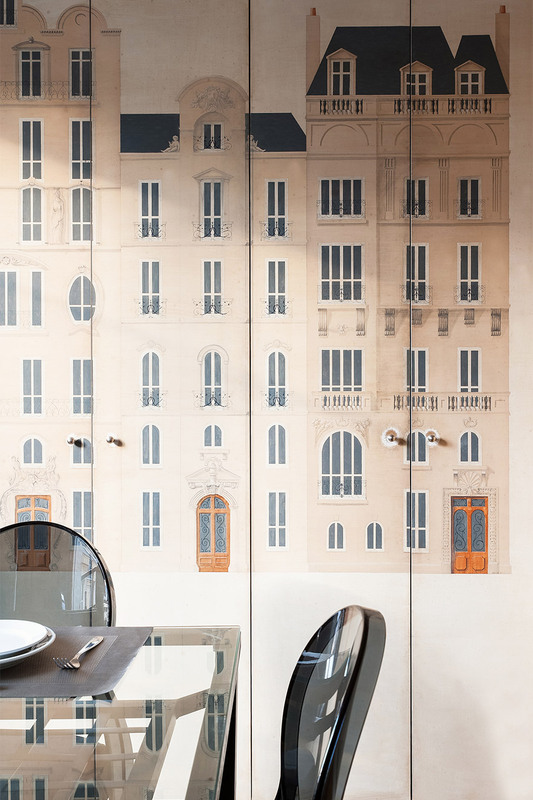 "We had the absolute best time in Paris, and we loved staying in Romanee. Everything about this was perfect. I'm going to blog about Paris Perfect in my blog later this week, and I'll let you know when I do. 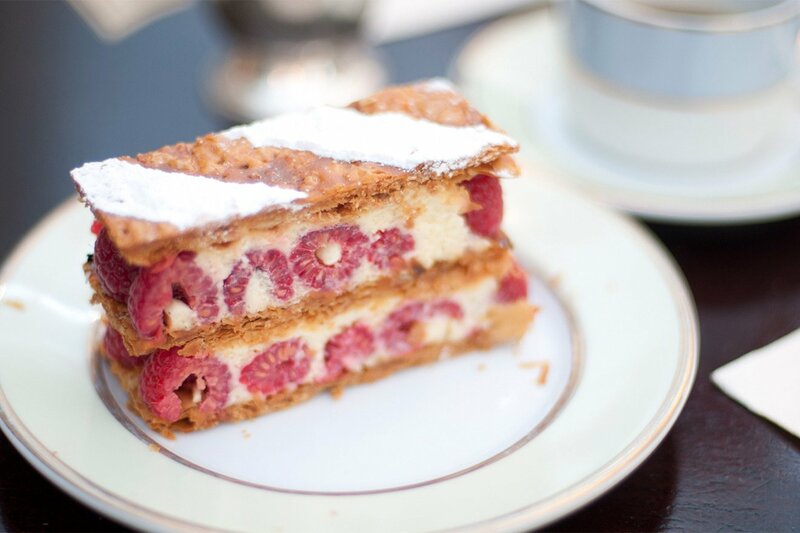 Wanted you to know in particular that the bakery Champ des Delices was..."
"We just returned from our trip to Paris. 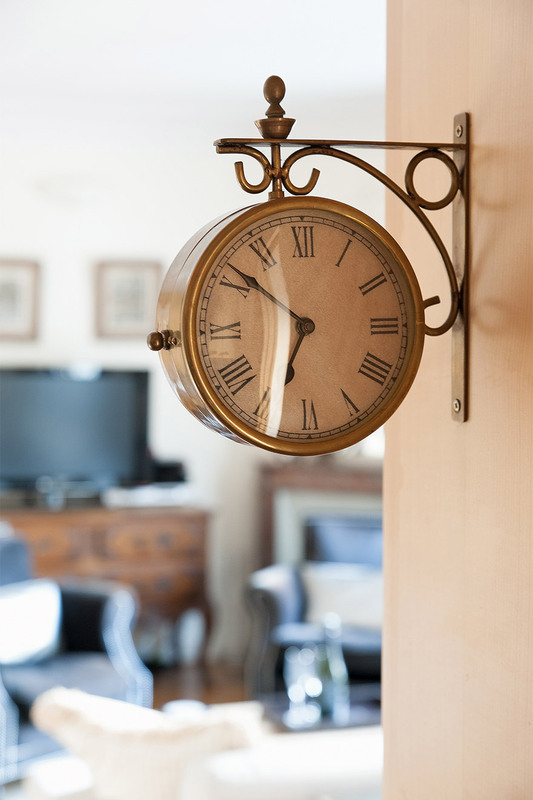 We had a crew of family ranging in age from 23 to 82 years and elected to find a flat to accommodate all. We came across Paris Perfect on the Internet after quite a bit of research. 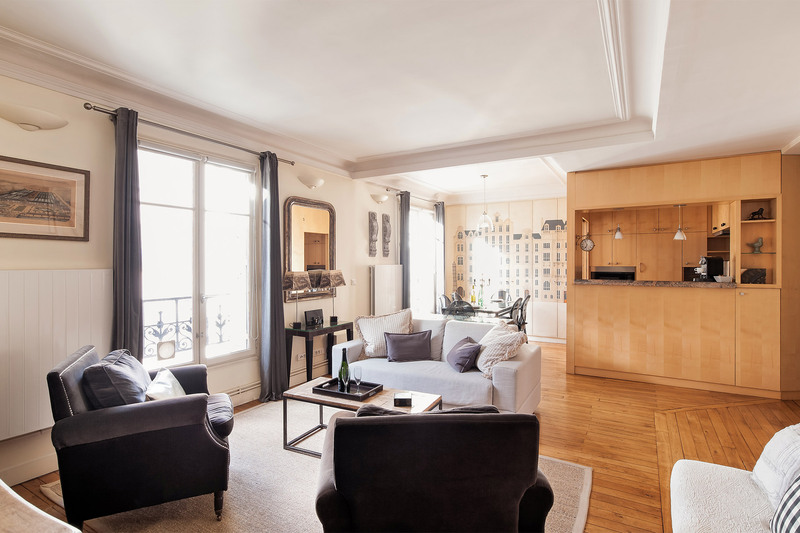 Paris Perfect answered every question and helped us settle into the Romanee..."
"We were very pleased with the Romanee apartment and everything about the experience of renting an apartment with Paris Perfect. The apartment was well decorated and very comfortable as well as equipped with dishes, silverware,and anything we needed. The apartment was very well situated. The..."
"Will heartily recommend you to family and friends! Thank you! Your people were incredibly great." "Had a wonderful time! It felt like home." "Thank you for providing us a wonderful home while we visited the beautiful city of Paris! We will recommend Paris Perfect to all of our friends! The welcome basket, Sarah's smiling face - both that greeted us was wonderful! We were so comfortable, a home away from home! 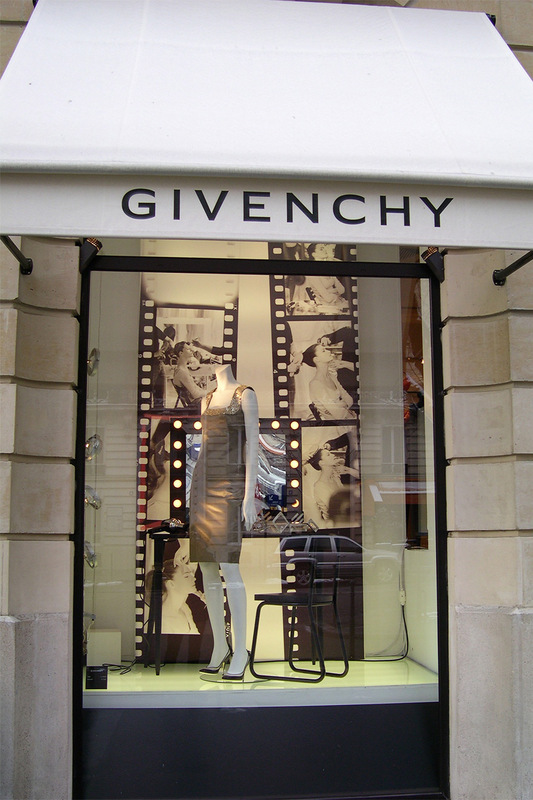 What we love about Paris..."
"Looking forward to a return visit! We love this beautiful apartment and location." "What can I say but it was wonderful... Many thanks to the staff. They were very friendly and helpful from beginning to end. The apartment was great!!! It accommodated 6 adult women. We had plenty of room. Having 2 bathrooms was a plus. The view to the Eiffel Tower was breath taking. The pictures do..."
"Had a great stay. Fantastic location for seeing all of Paris. Your info on buses and trains was very helpful and the apartment (and view!) were great. Thank you!!" "My wife, daughter & I stayed in the Romanée Apartment over the 2009/10 New Year. The top criteria for our accommodation for our Europe Holiday, which took in London/Paris/Rome was that it had to be quiet. Romanée Apartment did this amazingly well on top of having a..."
"The experience of staying at the apartment is an excellent introduction to Paris, France especially for first-timers - the attention to detail (providing the pronunciation of telephone numbers even) guide books, framed map, shopping trolley, umbrellas, wifi, leased telephone line, good quality..."
We've just spent a wonderful week in the Romanee apartment. It was better than we imagined. Having been to Paris many times before, this rates as by far our best experience. We really got to know how the city works and truly felt we were citizens of Paris . 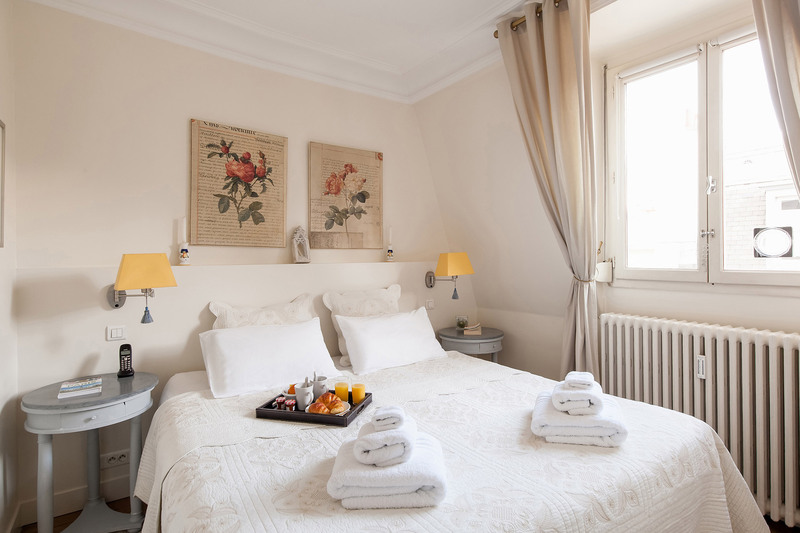 The..."
"We had a great time in Paris staying at your Romanee in June. Your amazing staff and the thoughtful setup/instructions had made it the best part of our trip. We all fell in love with Paris (including our 11, 4 and 2 year old). To the owner and staff there, thank you very much for..."
"Thank you , Paris Perfect made our stay perfect. No worries, everything was taken care of for us. All we had to do was get there. The apartment was beautiful. Thanks to the owner I was able to call my family in the USA at no charge. The view from our window would take your breath away. Our family..."
"Bravo! Very well done. The apartment was perfect and the service was unique. The attention to detail made all the difference. I have already recommended you to many." Our family had a delightful stay at your Romanee apartment over New Years. The apartment was in an excellent location - we loved the view of the Eiffel Tower from the living room and dining room windows! The apartment was so well appointed and extremely..."
"My family and I just returned from staying at the Romanee apartment (Sept 14-24). It was one of the best vacations I've ever had. I went with my husband, 1 year old daughter, mother in law, father in law and sister in law. The apartment was great and had all the comforts of home. I thought we would..."
"WOW! What a wonderful experience I shared with my sister, daughter-in-law and granddaughter staying in the Romanee apartment viewing the Eiffel Tower each night! We loved the neighborhood and shopping for breakfast and dinner and chocolate, chocolate, chocolate!! The apartment was so comfortable..."
"Thank you Madelyn and Philipe for a wonderful memory for my three boys and I. The Romanee was in an excellent location to experience Paris. Each morning, we would run along the Seine and in the evening be mesmorized by the Eiffel tower at our window. My kids loved the Segway tour, Musee d'Orsay,..."
Thank you and your staff for making our stay in your Romanee apartment so wonderful. Because of your kind hospitality, we felt that we were staying in a friend's apartment and not in a rental. 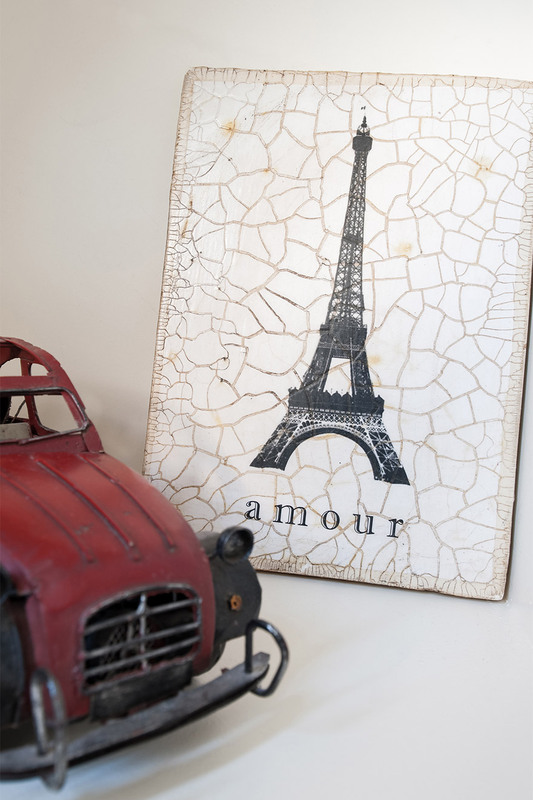 The Romanee apartment had everything that four people could wish for and..."
My last visit to Paris was the most rewarding. It left me wanting more. Why was it so different from previous visits? 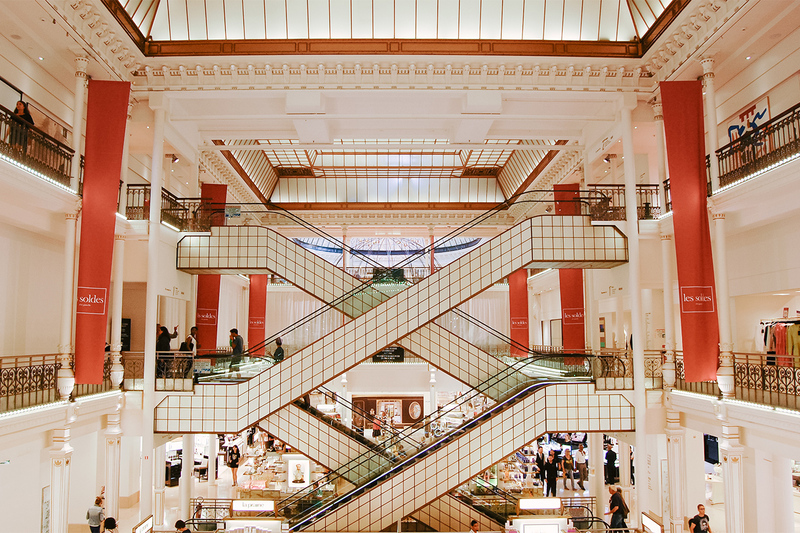 Two wordsâ€¦ Paris Perfect. It was a â€˜girlâ€™sâ€™ trip. We researched..."
"We stayed at Romanee in November 2004. 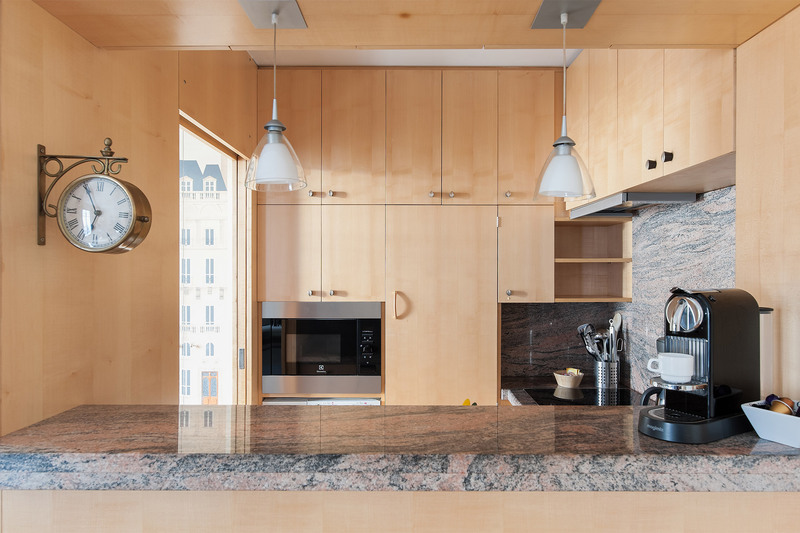 This apartment was EXACTLY as depicted in both the photos and written description; same with the always-available assistance of the Parisperfect personnel. I have been to Paris many times, and have stayed at fine hotels. By far, this was the best..."
Our delayed arrival into Paris kept us from reaching your Romanee apartment until almost midnight. From the first moment, we felt welcomed and right at home your beautiful apartment. Although the dining table was fully set and ready to host the six of us to dinner,..."
"My wife, my 3 children, ages 13, 15, and 17, and I spent the first week in July in the Romanee apartment. It was everything the website promised, except for one â€“ it was even closer to the Eiffel Tower than the map or the pictures indicate! It was wonderful. 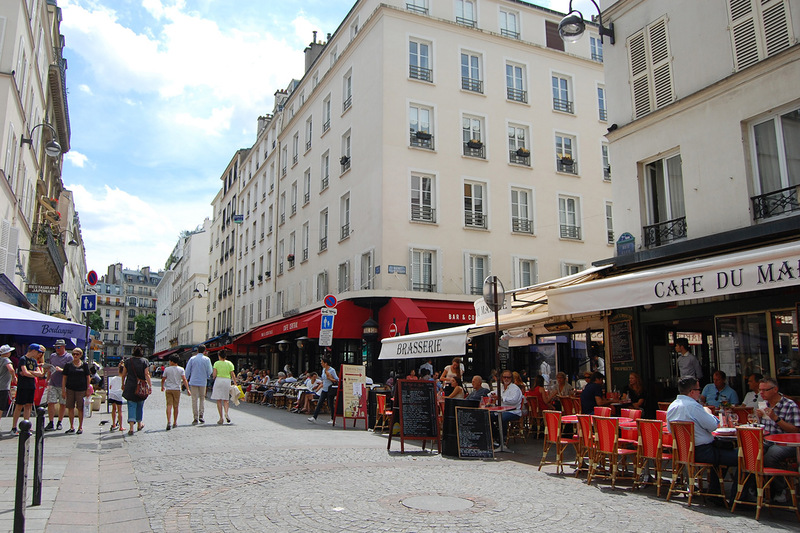 Left bank, heart of the 7th arrondissement, unquestionably one of the most sought-after in Paris. Surrounded by cafés, shops, monuments, restaurants and open markets; the neighborhood retains its unique, village feel. Spectacular view of the Eiffel Tower from living room and dining area. You invest a lot to come to Paris and you should be rewarded with an unforgettable view of this eternal city. One block to the Eiffel Tower and Champ de Mars. 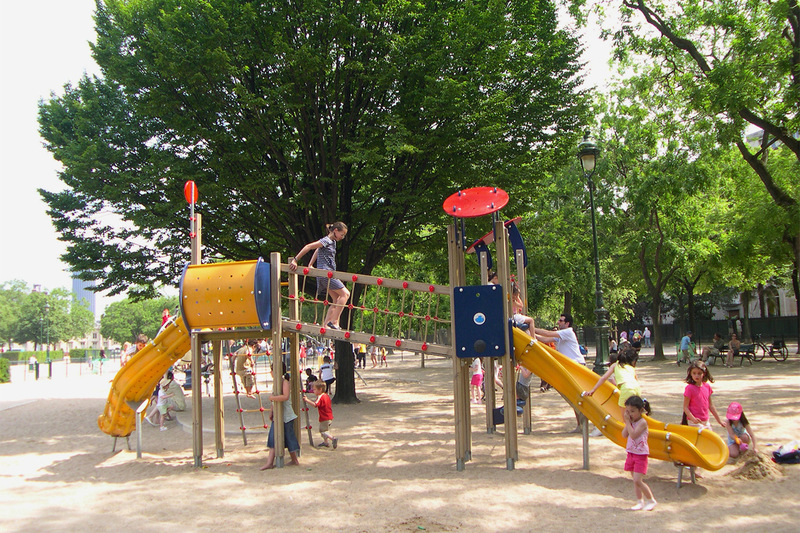 The Champ de Mars Park is a rare bonus in Paris as there are few large parks in the center of the city. Walk, run, play in 1 of 3 playgrounds, basketball court, go to the puppet theater or just sit and enjoy. Nearby skating and bike rental are fun activities in the park, especially after strenuous site seeing. The apartment is next to the American Library, an institution in Paris, and across from an old elementary school built at the turn-of-the-century. 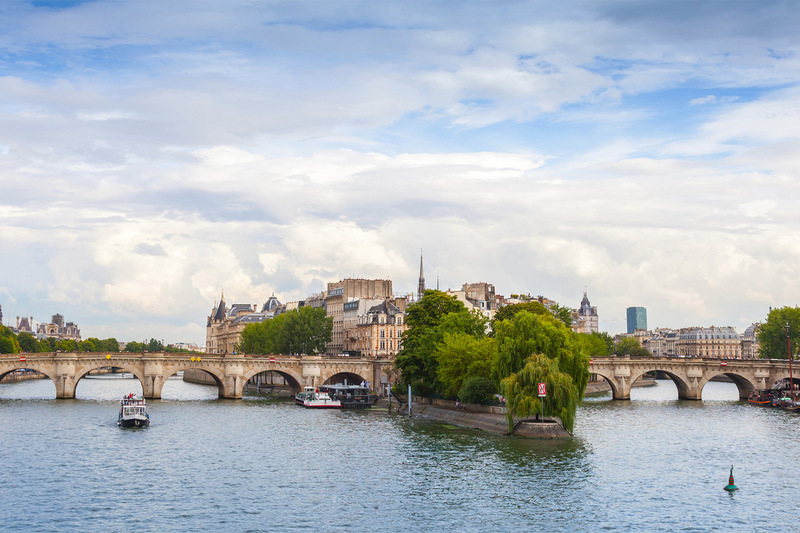 The Seine River is three blocks away (3 min walk) and right near where the famous Bateau Mouche boat tours begin. 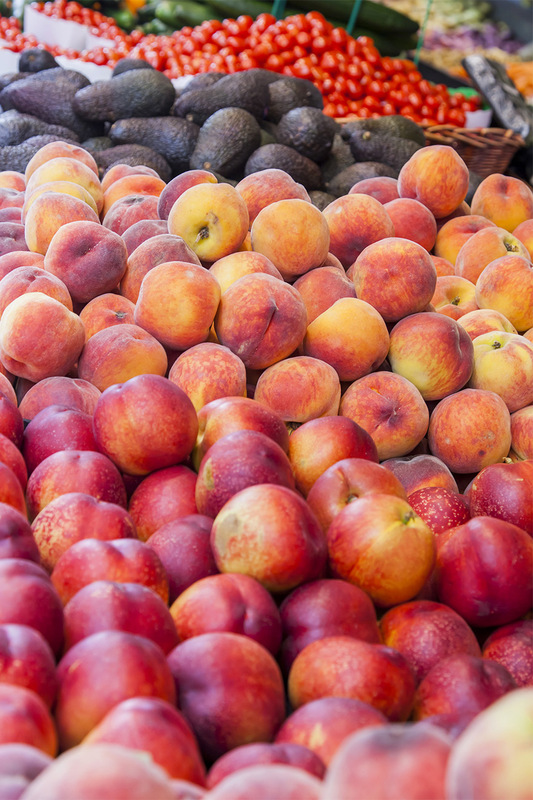 Open Markets: Rue Cler is five blocks (11 min walk) away, one of the best and most famous streets for food in Paris. 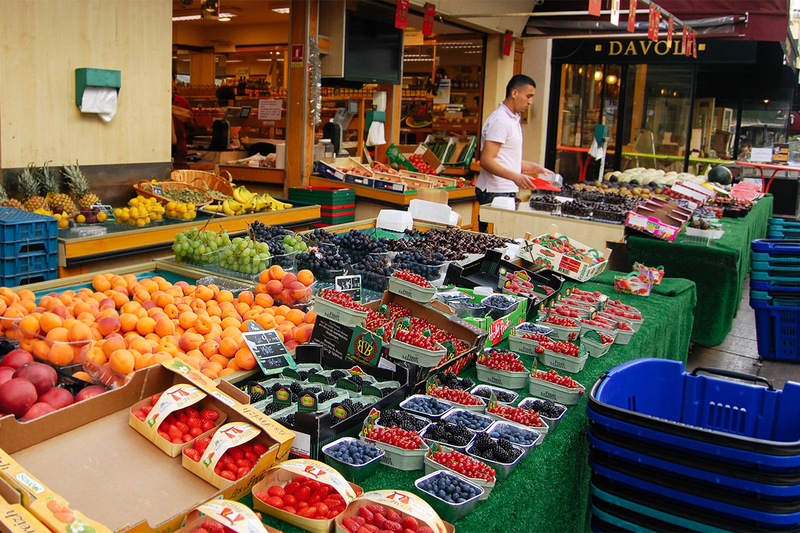 Pont de l'Alma is a five-minutes walk and has the largest open market in Paris every Saturday morning. 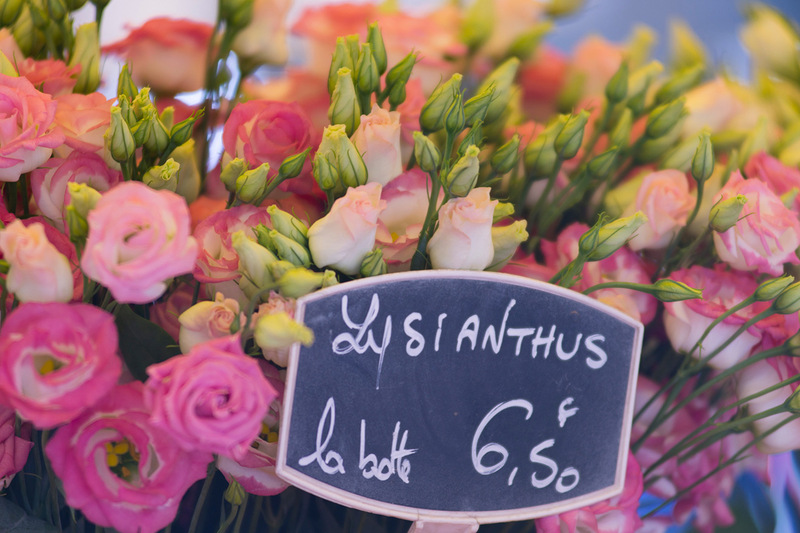 Merchants come from the country with wines, fruits, vegetables, flowers, fish, pâtés, breads, even five types of escargots! 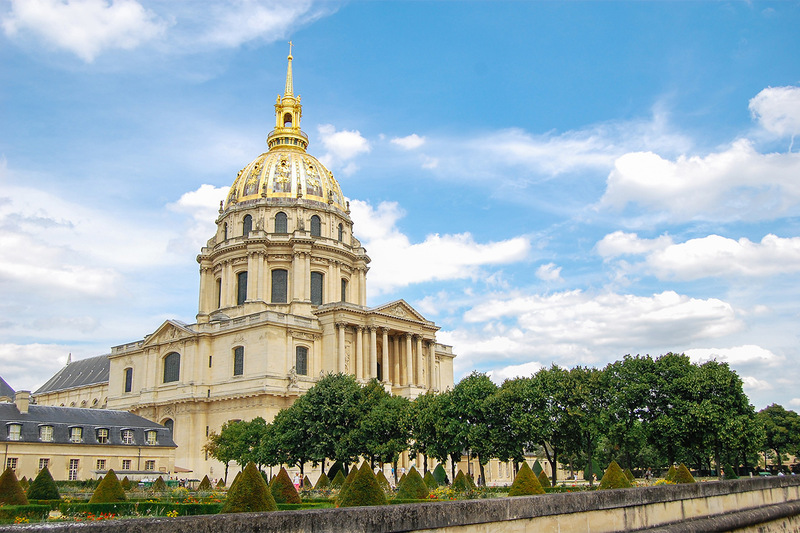 Golden dome of the Invalides, where Napoleon is buried, along with surrounding park (15 min walk). The Eiffel Tower just minutes away! A little Eiffel Tower inside! Unforgettable view of the Eiffel Tower at night!